Embrace local culture as you explore a city that seems untouched by the passage of time. Once referred to as 'the Refuge of the Last Dreamers', Luang Prabang is a colourful patchwork of villages, temples and cultures. 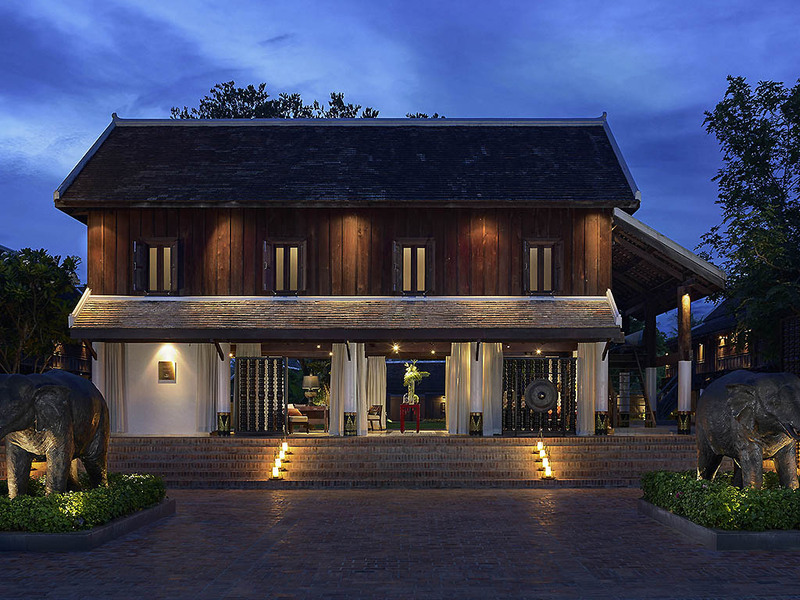 Sofitel Luang Prabang is part of the exclusive MyResorts program that provides rewarding resort experiences for Le Club AccorHotels members. Everything was perfect. The property is amazing but what really made it perfect was the sincere hospitality we've received from the staff team. You guys have made it an unforgettable stay and I can't wait to be back. Keep up the good work!! Good first: -The hotel compound was very nice -Room decor was good Not so Good -breakfast not great, bad news when a french hotel chain doesn't have fresh bread -Evening drinks, sparkling wine measures were very small and 2nd glass served warm -Villa doors to outside space couldn't be shut properly so easy for insects to get in. i would have been conceded about security in other places. -Transfers. Booked transfers with the hotel in advance both ways, providing flight details. The evening before our departure we had a casual conversation with the front staff about the check out time and transfer to airport. i misstated the time of the flight. The front desk manager said he would arrange the car for 2hrs before. We subsequently missed our flight, and had to pay for new flights that ruined our relaxing break. So i fully accept that it is my responsibility to know the correct flight time, however i can't help but feel disappointed at Sofitel. I booked the hotel transfers so i did not have to worry about it. I have been to many 5 star hotels where the staff are savvy enough to know the limited number of flights bringing their clients to far flung places, and they have double checked the transfers. When we said to the staff, we are on the scoot flight to Singapore, which accounts for MANY of their clients, i would have expected the mistake to be picked up. I've waited few days before writing this review to let my anger subside and see if i feel my criticism is unjustified, but i can't shake the feeling that it wouldn't have happened at other places we stay. Very friendly and good service from all staff. Great location and a fabulous staff. Warm greetings awaited us on arrival and continued for the duration of our stay. The grounds and rooms were wonderful. Dining experiences at both the Sofitel and 3 Nagas restaurants were lovely with an emphasis on Laos food (fantastic) and western food for those not so adventurous. Overall a wonderful break in a delightful country. Wonderful property, very very kind and helpful staff. The Governor's Grill for cocktails was amazing, the rooms spacious and attractive. We stayed 3 nights and am blown away by the service of your staff. Breakfast was always a delight and every working staff went out of their way to make sure we are well taken care of. Special mention to Pookie who is always with a smile and so genuine with her service and attentiveness. Definitely an asset to the sofitel luang prabang team! Totally in awe to be surrounded by such beautiful colonial landscapes in Luang Prabang. Truly wonderful experience and warmthness by the locals. Staffs were welcoming and try their best to connect with guests. Some of them are: Kevin, Kham, the lady chef who taught us the cooking class, to name just a few. We have stayed there 4 times and it gets better each time, lovely staff, it's always a pleasant experience to return. It is beautiful and quite, very friendly and nice service. Kid loved the rabit!! Thanks and will come back. Your everyday staff here are amazing, so friendly, helpful and happy. I would not classify this hotel as 5 star. The rooms are lovely, but nothing extraordinary. The setting is gorgeous, but could be enhanced further with some planned garden planting. The breakfast here is VERY average. There has been an attempt to keep the hot food hot, but this is not effective, so it is generally cold. Not a great way to start the day. Not a lot of thought has been put in to the breakfast set up, so cereal jars are difficult to access as is the fruit. There is no where to put your plate down whilst trying to serve food singlehanded, and trying to remove covers and lids from the food !! Pastries here are incredibly average, when the potential in this town is to obtain some amazing breads and pastries. The resort itself is a lovely oasis in this city, but has so much potential to be so much more to its guests. Staff was accommodating. Food at breakfast was exceptional. Shuttle into town was well done. Atmosphere at Hotel was such I would consider it a vacation just to stay there and not sightsee but of course sightseeing in Luang Prabang is a must. We loved everything about our stay. The accommodation was excellent, the meals were tasty and well presented. The possible exception was the ‘afternoon tea’, whist the fruit balls, mini chocolate brownie and chocolate shoe were lovely in themselves, it was not what could be called ‘afternoon tea’, (my expectation would be for something savoury, like a small selection of sandwiches or other savoury bites and something sweet like small cakes or scones with jam and cream). This said, every other thing about the resort was wonderful! Especially the beautiful staff.